Crew members from Coast Guard Station Port Angeles medically evacuated a 29-year-old Chinese man from the 665-foot freighter Great Fluency, in the Strait of Juan De Fuca, Washington, Sunday morning. 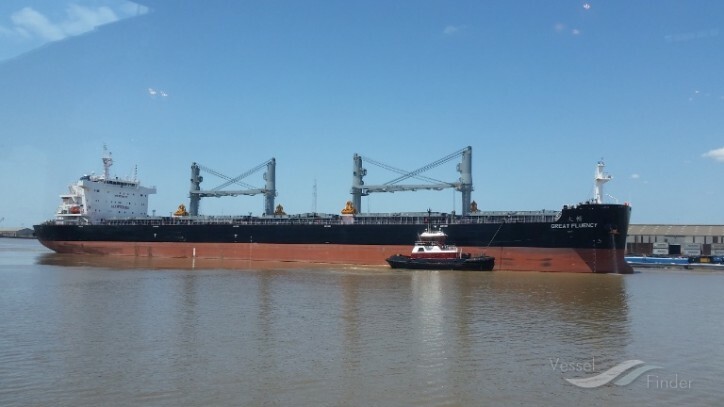 At approximately 7:20 a.m., Coast Guard District 13 watch-standers received a notification from the Great Fluency that a member of their crew had been exposed to phosphene gas, a common chemical aboard vessels of this type. Coast Guard crew members, aboard a 45-foot Response Boat-Medium, launched from Station Port Angeles at 8:07 a.m. and arrived on scene at 8:45 a.m.